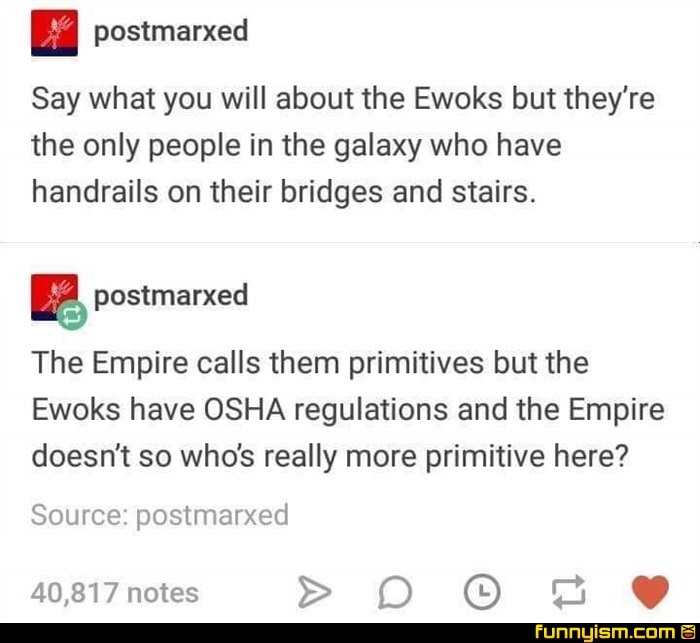 Because the empire owns OSHA and did away with them like the Jedi! Wouldn't that be more of an ADA thing than an OSHA thing? Empire doesn't even have dental insurance. @Erinjagerbombastic, But they still can’t fix lava burns or lightning. @PBnJ, You want to go mate?